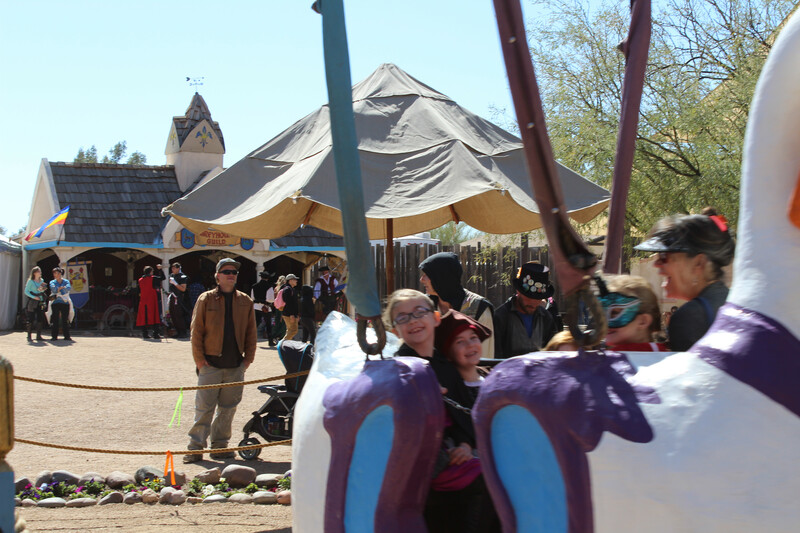 Arizona Renaissance Festival Review by Swan Stanley | The AZ Renaissance Festival is open until April 1st! When I was younger I used to love when we had the chance to visit the Renaissance Festival when it came around. I remember when my cousin worked there helping out at the wax hand stand, It is a memory that stands out most in my mind because I remember my younger brother trying to bite his wax hand on the way home. I sadly hadn't been to the festival in several years so I was excited to be offered the opportunity to receive tickets to this years festival in exchange for promoting the festival. The festival opened on February 10th and will remain open until April 1st and it is located off of US Highway 60 in Gold Canyon,Arizona. 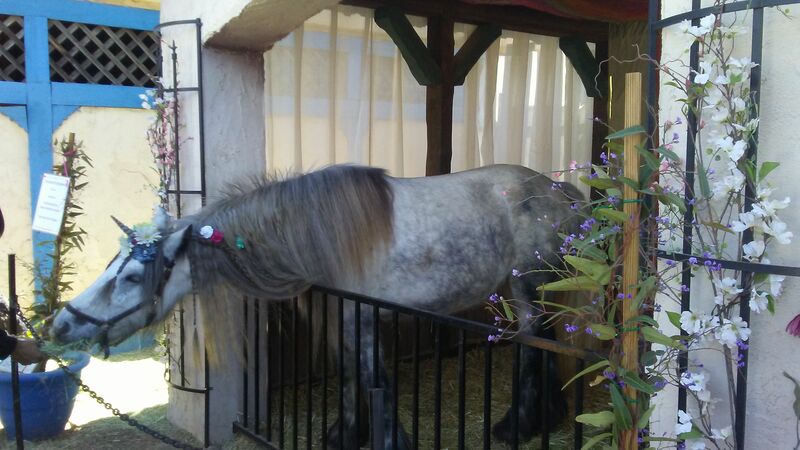 The Renaissance Festival offers a wide range of stage shows, shops, food and magical creatures. You are free to come dressed up or come in your daily wear, no one will judge either way. We chose to dress up and we had a lot of fun doing so. We made sure to arrive when they opened so that we could get a parking spot up close to the entrance because the parking lot will be quite full later on in the day so it is best to come early. From the time you arrive until the time you leave you will see dozens of fare staff wandering around entertaining people whether it is with singing, dancing or being a living statue there is no shortage of things to see or do. 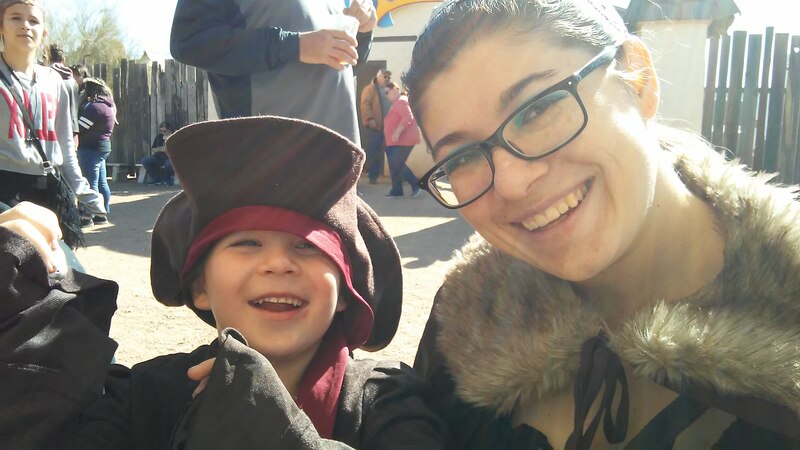 When it comes to the Renaissance Festival the only thing I wish was different is that I had more cash to spend! 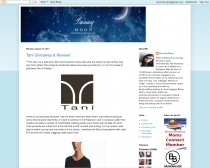 There are so many amazing shops that are selling artwork, clothing, footwear, jewelry, hair accessories, pet dragons, unicorn horns and more that you are sure to find several things you will want to take home. 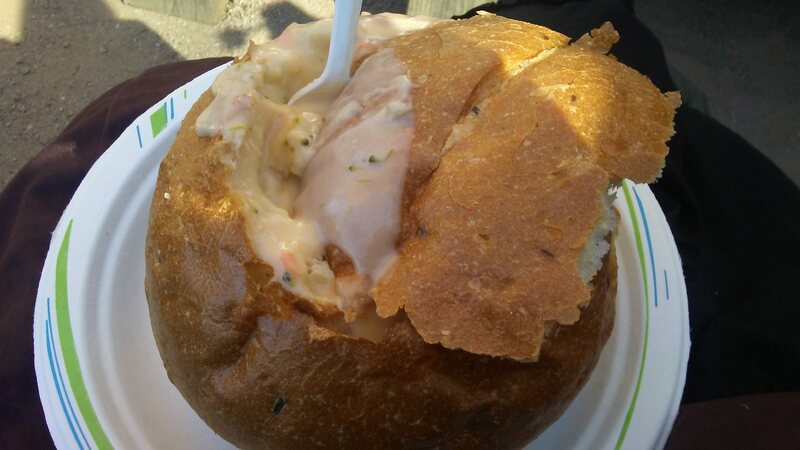 Along with physical goods you'll also find a wide range of delicious aromas coming from the food vendors, speaking of food I had some of the best cheddar broccoli soup in a bread bowl I've ever had while we were there. There was a large amount of stage shows and street performers that there simply isn't enough time in the day to see them all so I suggest taking a look at a map when you first arrive to see the daily schedule and pick out the shows you'd like to see. My favorite has always been the birds of prey shows, but this year we found a new street performer we really love as well and that is Fire Flicker the dragon. If dragons are not your favorite magical creature there is also a Unicorn, mermaids, and more! 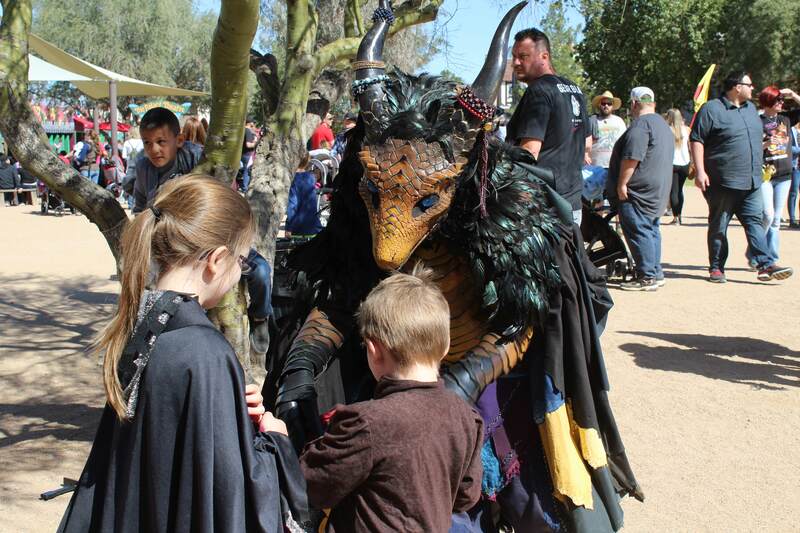 Come out to the Arizona Renaissance Festival to explore and see which magical creatures you stumble upon. Tickets for this event are $24 per adult and $14 for children 5+, ticket costs include entry into the festival and free parking. I highly suggest wearing comfortable shoes and bring sunscreen + water if you plan on being out all day.